Awesome effort by our 8 intrepid CACTI. 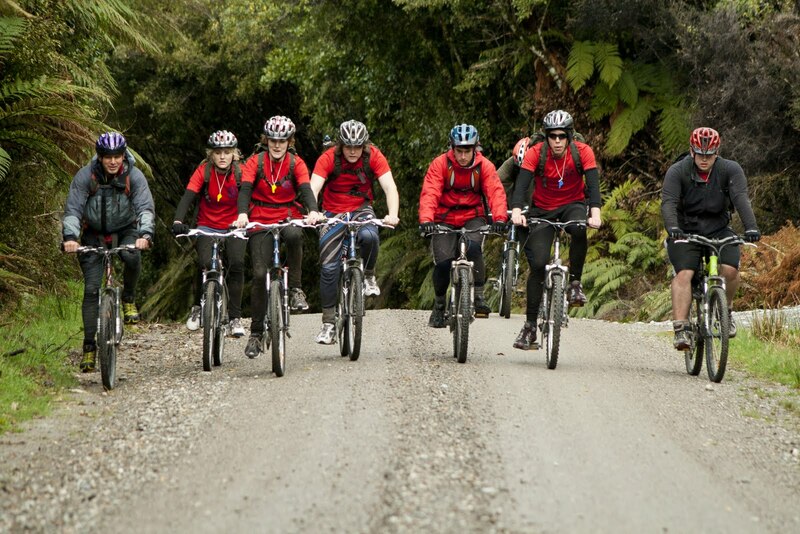 Taking on 55 km of gravel road, bush and track from Kumara to Kaniere! John Winsley, Corbin Dickens, Time Boon, Matt Boon, Rory Morgan, Andrew Lee, Elle Clark and Sophie Clark mounted their bikes for this event. 7 am to 7pm with little pre-event cycle training! Despite drizzle for most of the day this was a awesome event to test the deter-mination, attitudes and teamwork of these awesome young CACTI! Endurance on the road sections, nerve and skill on the more technical parts like the Kaniere Water Race Track, along with route finding, fording streams and team running through the Kawhaka river section brought the youth through with flying colours. Thanks to Paul Schram from Wild West Adventures for lending the bikes, Rhys Martin for driving the support vehicle and the land owners who allowed us through. The trail will be a wonderful asset to Westland. And biggest thanks of all to the CACTI for fronting up for the challenge, supporting and encouraging each other through the day and making it a great event!